The two cultures that developed in the Andean region, Aymara and Quechua, were rich in their traditions, myths and knowledge of astronomy, which they lived by. In the Andean concept of time, it was believed that long periods of time were linked by severe events which they called Pachakuti, from the Aymara/Quechua word Pacha, that means both space and time (also world or earth), and kuti, that means to overturn or turn back. Together Pachakuti means the overturning of space-time; a millennial moment in which one world ends and another begins; a total transformation of things. This concept was so entrenched in Andean life that during the Inca period an Incan ruler had taken the name of Pachakuti Inca Lord over-turner of space-time and set out to transform the Inca empire. Altough the concept of pachakuti doesn't really relate to music, with the realities we are living with in the beginning of this millenniumworld political and religious events as well as natural disastersone would think that we are going through a pachakuti. An internationally recognized virtuoso of pan-pipes and South American flutes, Inkuyo founder Gonzalo Vargas, inherited his traditional musical knowledge growing up in the remote Andean village of Tapajkari, Bolivia. His desire to perform, study, and teach his ancestral music led him to work with numerous ensembles in his native land. He then played a key role in introducing Andean music to the United States and Canada as one of the founders of Sukay. In creating Inkuyo, Vargas brought together the talents of musicians who are well versed in the Andean musical heritage. Inkuyo's other members are Salomon Perez, playing guitar, charango, bass guitar, tiple and mandolin and Fernando de Sanjinez, playing drum, snare drum, cymbal, bells and chajchas. Joining Inkuyo are guest artists Enrique Coria, guitar, Jose Luis Reynolds, bandurria, and Braulio Collarana, sikus. 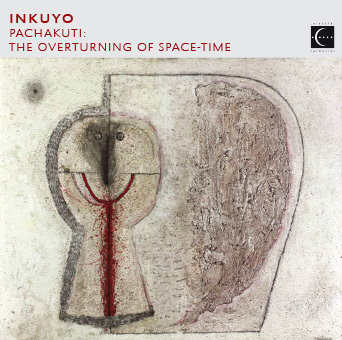 Inkuyo's other recordings for Celestial Harmonies/Fortuna Records are Land of the Incas (17064-2), Temple of the Sun (17080-2), The Double-Headed Serpent (13070-2), Art from Sacred Landscapes (13088-2), Ancient Sun (13093-2) and Window to the Andes (13173-2). 1 Llajta Takiy (Village Song) 3'09"
2 Willka Mayu (Sacred River) 4'37"
3 El Tio (The Uncle) 3'24"
4 Pachakuti (The Overturning of Space-Time) 5'12"
5 Oh Quillacollo (Dear Quillacollo) 3'51"
6 Grito del obrero (Worker's Cry) 4'58"
7 Italaqueno (Men from Italaque) 3'54"
9 Uru Chaka (Bridge of the Urus) 4'30"
10 Jardin Secreto (Secret Garden) 4'09"
11 Mallku (Great Condor) 3'54"
12 Flor Aiquilena (Flower from Aiquile) 3'35"
13 Wayna Sikuri (Young Siku Player) 2'49"
14 Mosoj Punchay (New Day) 2'46"